So today was the day before the big day. We know that now, so it’s easy to be all full of faith about the promise now. Because we are here all these years later and we know it happened. Harder I think for the followers of Jesus at the time. There were perhaps a few prophecies – half remembered – about the temple or Jesus returning. But all they had for the moment were nightmares about what they had seen yesterday and a dead body. And, because of the brutal times in which they lived, they were quite aware of what a dead body looked like, thank you very much. This man was most definitely dead – none of this swooning nonsense that some people waffle about. He has been tortured and killed. No one could deny that. And the day lasted just as long as every other day. No clues, no encouragement, just tears and bewilderment. What was that all about then? So they made some arrangements, perhaps to get together and pray. A bit half hearted maybe and not everyone would be there. Peter seemed to have gone back to his old life. Mary Magdalene and some of the other women made arrangements to go and embalm the body – not check if he had risen by the way – look after his dead body. They would meet early in the morning, as soon as sabbath was over. And all the time, while the tiniest grains of faith were still binding them as friends, nudging them to pray and to stand their ground in their everyday lives, the miracle was approaching. As each minute passed it was getting nearer and nearer. No warning, no signs but it was on its way. When the Sabbath was over, Mary Magdalene, Mary the mother of James, and Salome bought spices so they could embalm him. Very early on Sunday morning, as the sun rose, they went to the tomb. I’m not really up for writing about the Crucifixion. I don’t have the skills. 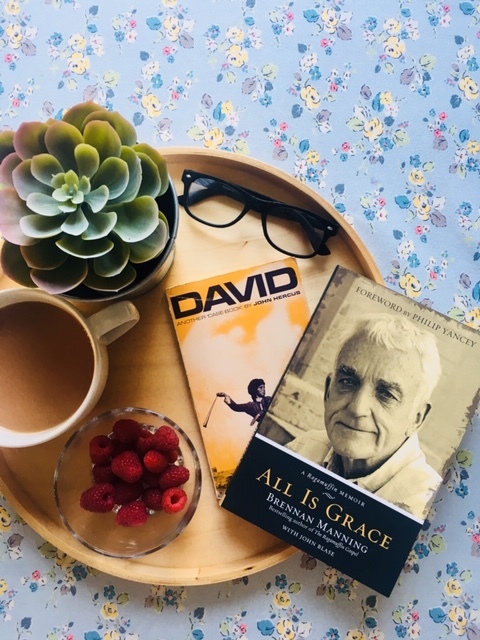 There have been countless poets and hymn writers who have got a lot closer than me. So I’m not going to do it. Write about the Crucifixion I mean. It’s too much for me and I am useless. I did want to say a couple of things though. Firstly, I’m really glad that “It’s Friday but Sunday’s coming” Well, obviously it is but it is still Friday. And, if it’s all the same to you, I would like to spend at least a portion of this day thinking on the horror that Jesus experienced. I’m not too keen on pretending that the darkness is never worth dwelling on for more than a millisecond. Partly because I think it does Jesus a dis-service but also, if we refuse to face the fact of a darkness full on, how can we identify with those who weep or mourn? Look how this darkness threw Peter. The night before when he had promised undying loyalty and love, Jesus had told him what would happen. And that’s exactly what Peter did – a full throated, expletive filled denial in the end. And Peter was overcome. Overcome at his own weakness, and his inability to amount to anything after all the promising and the enthusiasm. He was so overcome that he completely forgot the rest of what Jesus had said to him. Jesus would come back, and would lead him and Peter would be restored. Peter was blinded to all this, so that on this day of days when Peter had said that he would be there for Jesus, he was nowhere to be found. Later on, all this would be fulfilled of course but for now Peter was absent as his friend was tortured and killed. The fear had overcome him and he felt there was no way back. Good Friday reminds us that sometimes, for some, all seems lost and hope struggles to get a look in and it makes us go missing from God. People are having those times now as well. Hope seems lost, the darkness overwhelms, we are weak and afraid. Sometimes, as Christians we can be guilty of bellowing “Be Of Good Cheer!” at people (Christianese for “Buck Up”) and then leaving it at that. Today of all days is a time when we can at least, gently rub the back of someone’s hand and acknowledge the fact of the darkness for a time. A bitty week this week so a round-up full of irrelevant bits and pieces that together might make a readable blog. It seems the housing market may be stirring a little as, I suppose, people are fed up of waiting for a Brexit that may never happen, and are moving on with their lives. Also it’s a bit warmer and so people leave their little hedgrows and warrens and think about moving. We shall see. On Brexit – people are very angry still aren’t they? Do you ever wonder how people get the time off work to walk up and down outside Westminster shouting obscenities? Some of them appear to have been there for years. And the trouble people go to. There was someone last week with a six foot papier-mashe head of Theresa May which was beautifully done but I have no idea what purpose it served. I am with Judas on this (not a sentence you hear very often) and feel that the money could have been spent in a more productive way. I was mildly amused to see Monsieur Macron of La France advising us about how to get a move on and what we should and shouldn’t be doing. This is excellent from a leader whose country is on fire every Saturday night. I was more heartened by Angela Merkel who, on looking at something funny on an Ipad, called over a lonely looking Theresa May to join in the laughing to make sure she was included. Mrs Merkel always seemed a very kind sort of person to me. She is at the top of Europe and didn’t need to do that. Impressive. We took advantage of our Netflix subscription and watched Faces Places. Well I say our Netflix subscription. FOW2 pays for it because she needs it for her studies so it would be almost rude not to take advantage. And anyway, she owes me for her very existence so it is the least she can do. 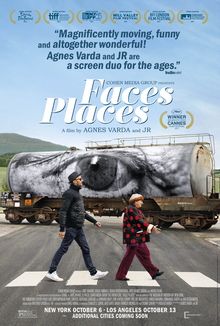 Faces Places is a documentary about two phtotgraphers – JC and the Legendary Agnes Varda (Being honest – no idea but she is very big in French New Wave Cinema apparently. Well, not so much now because she died last month). But…the film is lovely. They travel around rural France taking photos of the locals and blowing them up into huge posters which are then pasted onto walls, water coolers, huge columns of shipping containers etc. It’s about their friendship and celebrating a France that is vanishing. Just a lovely, affecting film. We have decided to declutter a bit and have started with books, DVDs etc. We are using Ziffit to get a bit of money back. You put the ISBN number onto the site and they tell you what you will get for it. We earned £87 which is good. It will buy us a passport as both of ours need renewing. (Are they still giving out passports? Are we allowed to leave? Does anyone know what is going on?) The big secret with these sites is not to take things personally. When you wonder for twenty minutes whether to put a beloved book or DVD on the site and then they offer you 28p for it, it can be easy to yell things at the computer. But, it gets you nowhere. I find it’s is best to sneak anything like this back onto the bookshelf when HOH isn’t looking. 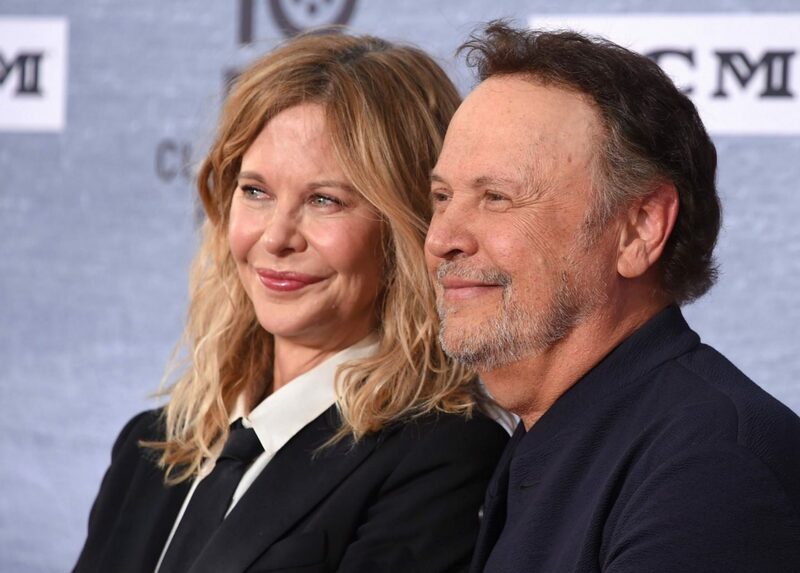 It is also 30 years since the release of When Harry met Sally. Thirty years! That was the film we saw on a very early date. I can’t believe it is that old. Nora Ephron, the genius writer is no longer with us, nor Carrie Fisher or Bruno Kirby but some of the other people involved went to a Hollywood shindig which looked lovely even though Meg Ryan seems to be modelling someone else’s face for the event. That’s Hollywood I suppose. I have, perhaps unwisely, left Aged Parent to sort out her own arrangements for a chiropodist this week. AP I need my feet doing. Amy – the warden got me a phone number. Me Very good. When is she coming? Well – HE – might not be coming. He’s a priest apparently and very busy. What? Oh right. Anyway, I spoke to him and I don’t like him. He was a bit funny. Yes it was!…. Just (uh-oh) but I don’t think it’s right. Well he probably subsidises his priestly things by this second job. No. Didn’t like him. It’s weird, a priest cutting toe nails. I got in touch with Donna who did them last time. She fitted me in. She said she hoped I was an early riser because she would be round at 5am. I think it was 5am. I’ll probably give her ring just before to make sure she is on her way. 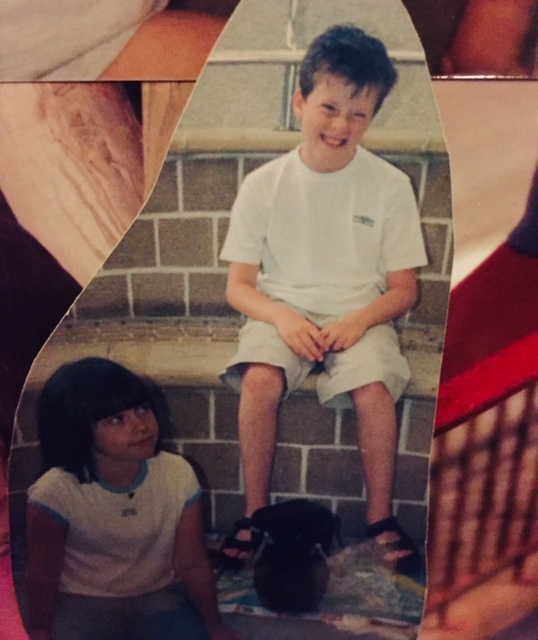 When HOH and I got married, we always just assumed we would have children. Hardly thought about it really. We got married, got on with life for eighteen months and then decided to “go in for a baby” as they say Up North. “Be prepared for a wait” people told us. I waited approximately four weeks before I suddenly realised I felt a bit queasy. My doctor said – “It’s very unlikely – not this soon – and also…oh”. This last little exclamation came when I took a pregnancy test out of my handbag to ask his professional opinion about the big blue line on it. All went well (apart from me being one of the charmed people who feel nauseous until the actual moment the baby pops out) and so, when we decided that we would “go in for another one” we had no reason to expect that this would work any differently. Nine months later, I still wasn’t pregnant. 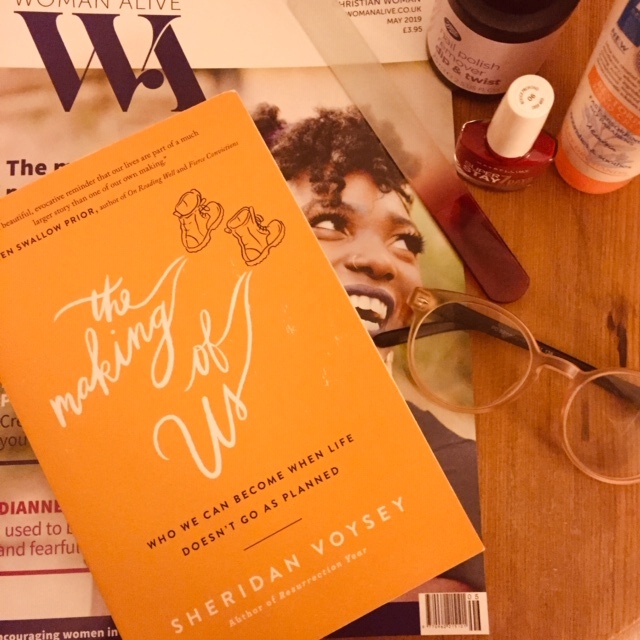 I understand that, against the years that others struggle to conceive, this is no time at all but I do have a bit of an idea about that monthly feeling of loss, when you discover, yet again, that no baby is on the way. Again, this ended well for us as I fell pregnant (am loving using all these phrases beloved of Aged Parent) but it doesn’t happen for everyone and it is this sense of loss and disappointment that Voysey addresses in this book. He has documented the struggles he and his wife have had with infertility in other places and this is not really central here. However, we know that he is truly shaken by several huge disappointments and seeks to address some of them whilst on an eight day pilgimage in the footsteps of Cuthbert; a 6th century Celtic monk. Cuthbert seemed to be a particularly saintly kind of saint with miracles coming out of his ears but this is not a book about miracles. Well, not that kind anyway. Voysey and his friend DJ find the pilgrimage physically challenging – both are limping badly by the end and there are no easy answers here. Since sharing his struggles in other places, he has been inundated with people sharing their losses and their disappointment with God. This isn’t a book about altering these circumstances but about what we do with how these events have left us and how we find our way through it. 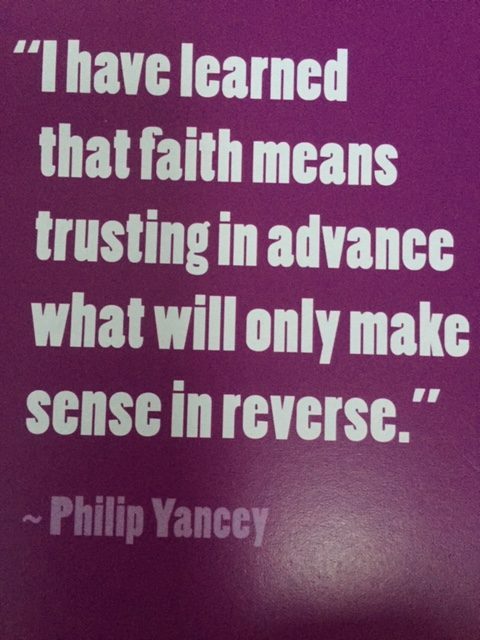 I believe that Voysey is a contributor to Radio 2s Thought for the Day on the Breakfast Show. (I tend to listen to Radio 4 most mornings and Thought for the Day there is usually presented by someone called “The Reverend Doctor…. or a Hindu scholar with loads of letters after his name. At the end of it, I can find myself screwing my nose up and thinking – “no idea”) It is meant as a compliment when I say that this book is more Radio 2 than Radio 4. It is an accessible and sometimes emotional read on an important subject. So many people so broken by life and having to find who they are supposed to be now. I enjoyed the journey, his take on life is very helpful. The little insights into God speaking to him are especially enlightening. I wouldn’t read it thinking you will have a formula to right all wrongs in your life. I would read it to find out that you are not alone and that there is a way forward, even if the final destination is not what you hoped for or expected. In other news, I bought three bras this week and it cost me just over 100 of your English pounds. As I am one down in the booble department I have to have special bras. There are cheaper bras that look like something Miss Trunchpool would wear. But, if I don’t want to look like a 1970s Eastern Block Shotputter (male or female – they were interchangeable at the time) I have to pay extra for the privilege of surviving breast cancer. Rant over. On to weightier matters. Usually I am a cheery soul. No, I am really. 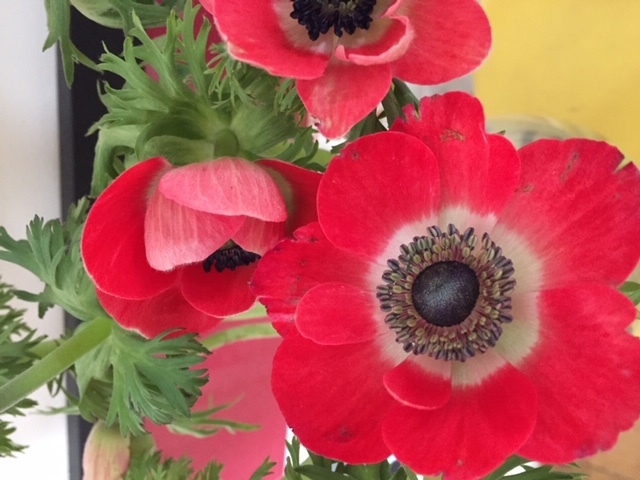 But, I am a tad downhearted at the news this week – are you? I’m not talking about Brexit either, although that has probably released some of the forces at play here. Whether you agree with leaving the European Union or not, I don’t think that there is much doubt that all other business is taking a back seat at the moment. Last week, a lady fell over on one of our buses and was lay on the floor for over three hours waiting for an ambulance. She’s 94, it was freezing. A nice lady came out of a local house and brought her a blanket. There were six other ladies on the minibus who passed the time by singing “Daisy, Daisy” and evoking the Dunkirk spirit. I’m not sure that should be necessary in 2019 in the UK. We seem to be stretched to breaking point. This week, I have read about Muslims in camps having their organs harvested and Christians in Kenya having their churches burned down. Also the British Labour Party trying not very hard at all to deal with Anti Semitism. In fact – so hard have they NOT tried – you suspect that maybe the odd one or two of them may actually be a tad anti – semitic. Then there is the most recent by-election in Newport West which Labour won. However, the turnout was 37%, possibly because of how fed up people are of – well everything to do with politics. Because turnout has plummeted, this allows smaller parties to have a disproportionate impact, so UKIP came third. And, this isn’t the UKIP of Nigel Farage and all that mularkey, no this is a UKIP that has Tommy Robinson as an official advisor. If you have no idea who these people are, please look it up. I am too depressed by the whole thing to put myself through it. I am reading a book about the Holocaust at the moment (The Cut Out Girl – very good) and that isn’t helping my general mindset in these areas but reading it I thought you could understand how these terrible things could happen. How people could treat each other so badly and lose sight of their basic humanity. But, when things are tumultuous and they get shaken up everything falls back down and things are cracked in a way we could never have invisaged. We must be viligilant I think. I am not sure I can do much about Muslims in camps but I’m thinking we are all expected to speak up more, do more, support the poor and make life easier for those that we can help. We may be coming into a time when to be kind, to say when something is wrong, to stand with the opressed is more difficult, especially with the advent of Social Media and the kind of “discourse” that Trolls are bringing. Even if that doesn’t prove to be the case, many of the most vulnerable in society seem to be struggling to find the safety net that we all like to think that our society provides. Kindness is hard work and self-sacrificing. Sometimes the people we are kind to are ratbags. But it seems that it is time to do something – bit of things even. I did a little list. Shop once a week for the Foodbank. When your friend says on Just Giving or something that they are climbing Everest using only their thumbs for the Women’s Refuge. Actually give them a fiver. Applauding your computer screen does not buy any nappies. You are not idiots, you know this list could be as long as the Internet. You have also probably twigged that a lot of this list is for me. It’s an important time. We need to be doing the right thing.